According to Stellarium, the Moon will occult Saturn from Tuvalu (UT+12) in the pre-dawn skies on 2-March-2019. According to the "several times a year" link in the APOD caption, the minimum separation (which I assume is centre-to-centre) between the Moon and Saturn will be 0.18 minutes of arc, or 0.3 degrees. But it will be less than 0.25 degrees from Tuvalu, it seems. Last edited by Nitpicker on Wed Feb 06, 2019 6:00 am, edited 1 time in total. I like it; I like it! Really nicely done by the photographer! I give it two thumbs up! I'd give it more smileys; but I think we're only allowed 3! 1) energetic motion toward a point. 2) the act of striking against something. 3) Astronomy . the approach or occurrence of conjunction between two celestial bodies. 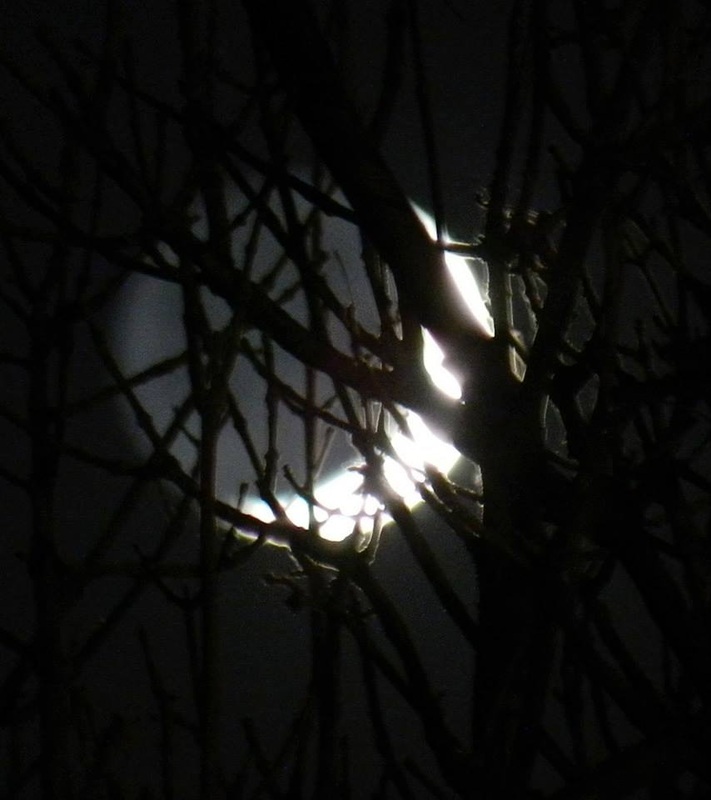 I am unsure what is illuminating the top part of the tree that is in front of the Earthshining Moon. This part appears distinctly white. I know it must be some sort of forward scattering, but I am unsure what type. Any thoughts from our learned asteriskians? 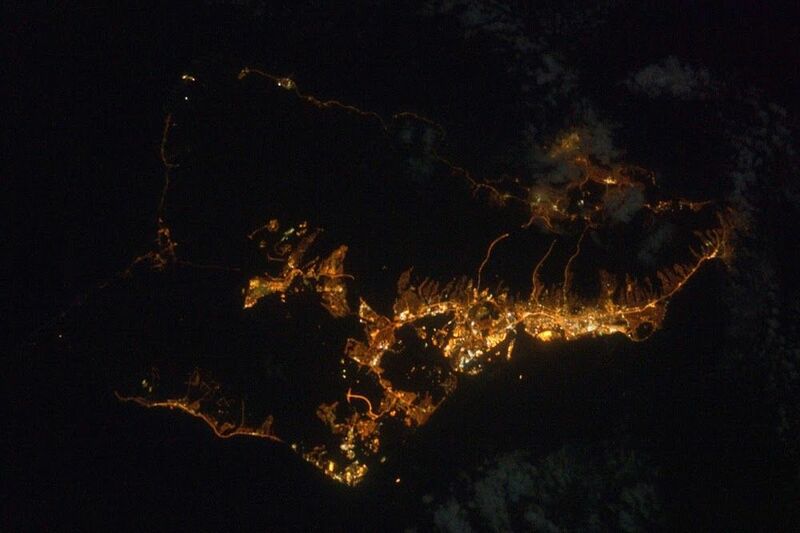 such that the lights of greater Honolulu are the illumination source? Venus would have also been in crescent phase. This would have been good to mention, though you can't see it at this magnification and exposure. Too bad, that would look cool if you could! Except that on the day of this appulse, 31-January-2019, Venus was in a gibbous phase, 62% illuminated. Could it not just be the moonlight? At the time, I thought that the thinner parts of the foliage in the treetops, simply allowed more of the sunlight to pass through to the camera. Whether this is "forward scattering" I am not sure. It is a new term for me. But I suppose it must be. "Forward scattering" by airborne fog/droplets is well understood. "Forward scattering" by leaves is not. why doesn't the foreground kiawe tree also appear bright? There are typically increased amounts of water vapour within tree tops. And there are reflections off leaves, too. The parts of the kiawe tree facing the camera, are not in direct moonlight, and I suppose insufficient moonlight managed to filter through the leaves and water vapour (by whatever means) to illuminate the parts of the tree closer to the camera. The Hi-res sure looks like we are looking primarily at leaves. While the moonlight is over-saturated, it seems like a lot of moonlight still makes it through the leaves. But perhaps not enough moonlight scattered/reflected by the tree, makes it through the tree to illuminate the parts of the tree facing the camera and closer to the camera. There is certainly a lot of direct moonlight getting through, as otherwise we wouldn't see any of the moon behind the tree. No scientific thought on my part here, just speculation. A flash from the camera during the exposure. Yeah, crazy idea. No scientific thought on my part here, just speculation. A flash from the camera during the exposure. Yeah, crazy idea. We're talking the outskirts of Honolulu here; one has to go out of their way for a dark foreground. I'm thinking we're seeing a kiawe (mesquite) tree in bloom. This is the right time of year, and they have large, light colored flower clusters at the branch tips and small leaves. They tend to flower in winter. A plumeria is also possible, although they don't usually flower in February (but they can). Both species are found at Koko Crater. It is hard to tell from the APOD, but I would be prepared to rule out a plumeria. And the illuminated tips of the tree look more like kiawe leaves, than kiawe flowers. I can't seem to find a daylight image of a kiawe tree in full bloom, where the yellow tone of the flowers, is significantly different from the green tone of its leaves. I am pretty sure we have some of these in our neighbourhood. I will keep an eye out. I am unsure what is illuminating the top part of the tree that is in front of the Earthshining Moon. This part appears distinctly white. I don't suppose the scattering effect would appear much different if the kiawe tree was in full bloom, or not. But I certainly don't think the whiter parts of the tree in the APOD are all kiawe flowers. Indeed, I think they are predominantly leaves. Alex here, the one who shot the image of the Moon and Venus over Koko crater. The forward scattering is through the leaves of a kiawe tree. There are no plumeria trees on the rim of the crater, but there are quite a few plumerias inside the crater. I was standing about 3/4 a mile away or so when taking this shot - and I had no flash on my camera. So, scratch that idea. Also, the leaves on those trees aren’t being illuminated by Honolulu city lights - although, those were to my back. Usually I can see forward scattering from blades of grass, peoples’ hair, edges of cactus or tree branches, and leaves of trees just prior to the moon popping up over the Koko crater. Typically, I shoot the full moon. Since I knew there would be a close conjunction on this day, I shot a crescent moon. I overexposed the image on purpose to capture earthshine on the moon, so those tree leaves were particularly well lit up. My Instagram page @adzierba shows many examples of my moonrise shots. I often coordinate with friends who hike up to the top.